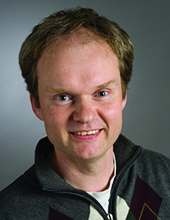 Docent Per Rudquist got his PhD in 1997 and is today Associate Professor at the department of Microtechnology and Nanoscience at Chalmers University of Technology. His research interests include physics and device physics of chiral liquid crystals, with focus on optics, electrooptic effects, and applications. He has published about 70 research papers in journals and proceedings, and several text book chapters. He was on the Board of Directors of The International Liquid Crystal Society 2004-2012. In 2010 he was awarded the Arnbergska Priset from The Royal Swedish Academy of Sciences. He is also co-founder of the company Orthocone Innovation Technologies AB, Göteborg, Sweden, developing orthoconic antiferroelectric liquid crystals and applications. There might be more projects where Per Rudquist participates, but you have to be logged in as a Chalmers employee to see them.